Logan State Park is located in northwest Montana. 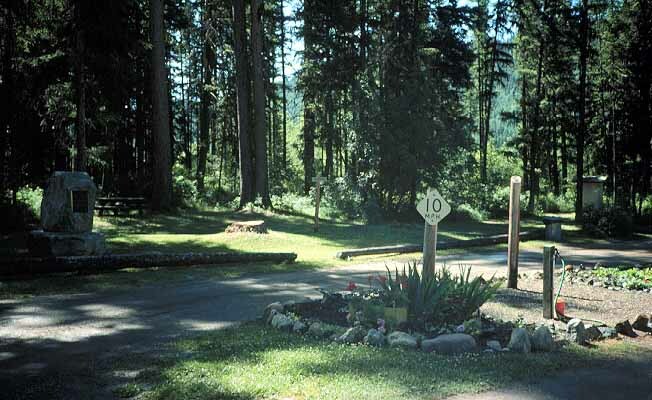 The campground offers tent and trailer sites, restrooms and drinking water. With frontage on the north shore of Middle Thompson Lake, Logan is heavily forested with western larch, Douglas-fir, and ponderosa pine. A channel connects Upper, Middle and Lower Thompson lakes. Attractions include swimming, boating, camping, horseshoe pit, water skiing, and good fishing. At an elevation of 3,333 feet, the park covers 18 acres. There are 37 total campsites, 1 tent only site. The RV/trailer size limit is 30 feet in length. There is a group use area, flush toilets, RV dump station, grills/fire rings, firewood, picnic tables, showers, trash cans, and drinking water. This is a heavily forested, scenic area. Fees for day use and camping. Season of operation depends upon weather conditions and accessibility.